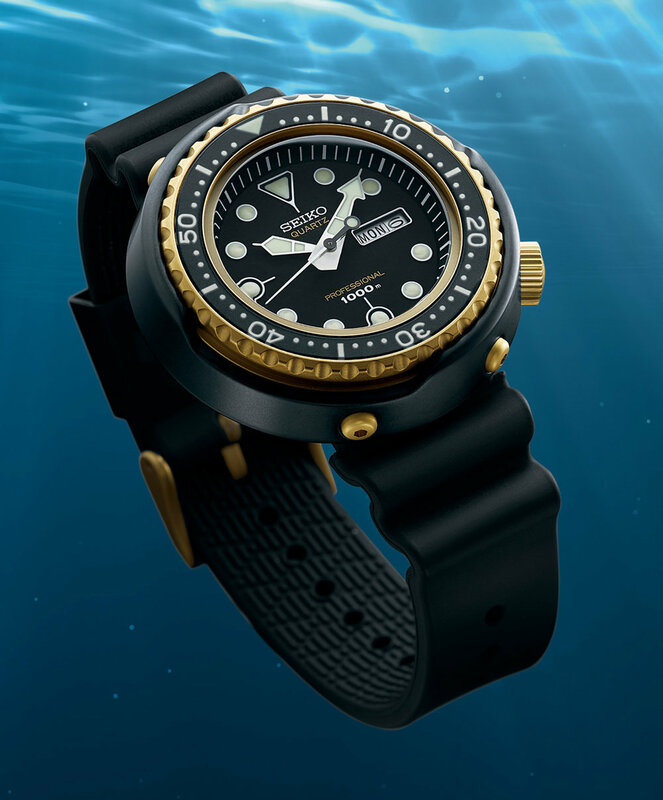 Dive watches have been synonymous with Seiko for many years and this year at Baselworld the company announced a partnership with the distinguished ocean explorer and marine conservationist, Fabien Cousteau (son of Jacques-Yves Cousteau). The dive line up was expanded with a couple of reissued historical collection pieces from Seiko’s back catalog to commemorate their Anniversaries as well as some modern interpretations and some new designs. The first model that undoubtedly attracted a lot of interest was the SLA025. 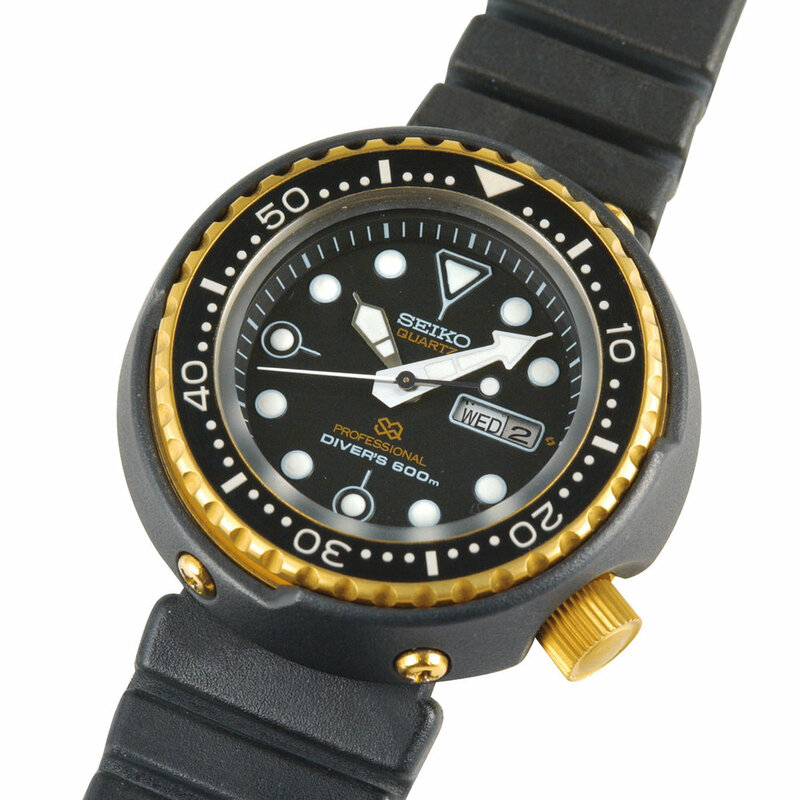 This is a reissue of the first Seiko Professional diver the 6159-7000 that was first released 50 years ago in 1968. 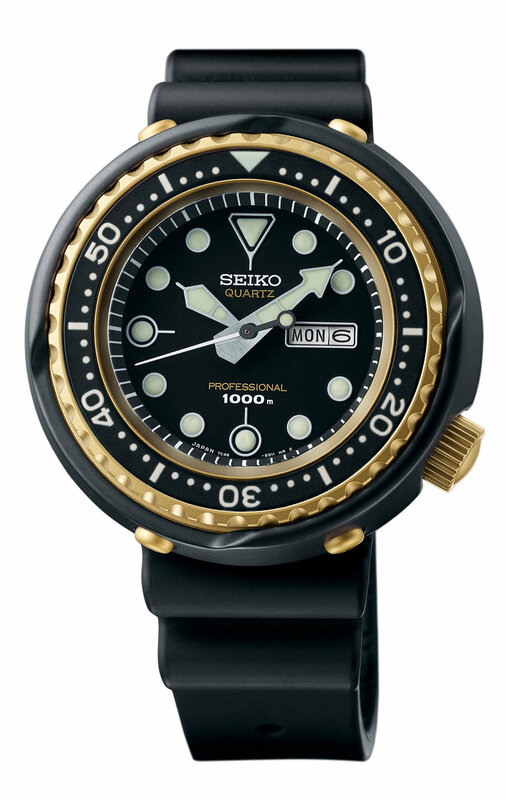 The 6159-7000 was the first Seiko diver to bear the marking “Professional” on the dial and featured a 36,000 bph Hi-Beat movement that was the significant upgrade from the similarly styled 6215-7000 model released the year earlier in 1967. The SLA025 is the international release for the rest of the world (ROW) and there is a Japanese Domestic Market (JDM) model SBEX007. Both units are listed as being a LE of 1500 units but it is believed that this quantity is shared between each model. The new SLA025/SBEX007 has the following specifications. 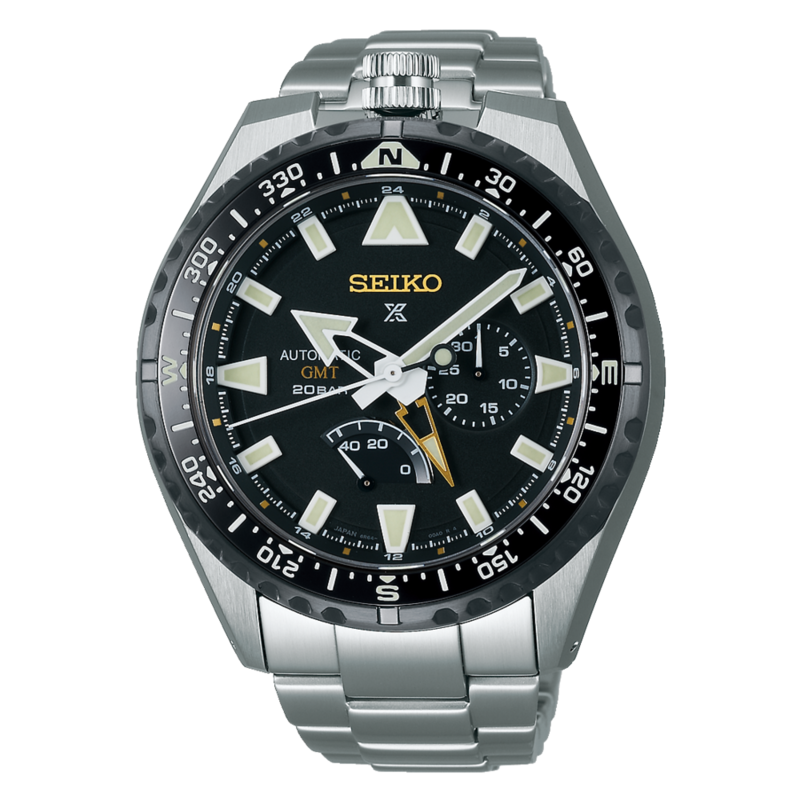 This watch is obviously very similar to the SBDX012 previous reissue from 2014 commemorating the Seiko divers 50th Anniversary. Back in 2000 there was also the release of the SBDX003 which was a L.E. of 500 pieces with golden markers, hands and dial text. The main difference on the new model is the upgraded movement. The SBDX012 (Divers 50th Anniversary), SBDX003 (Historical 2000 model) and the standard SBDX017 & SBDX001 (MM300) are fitted with the 8L35 movement. The new SLA025 has an 8L55 movement and the major differences are a higher beat of 36,000 vs 28,800bph and an increased power reserve to 55 hours vs 50 hours. 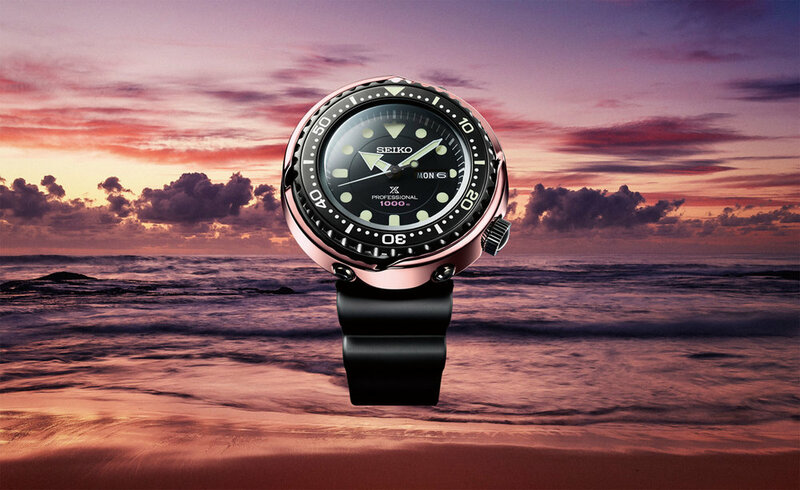 This diver specific movement and is produced by the Shizukuishi Watch Studio in Morioka. Another difference is reduced dial text with just Automatic Hi-Beat below the Seiko logo and Professional 300m on the lower part of the dial. This is much closer to the original design and the layout used with the SBDX003. One disappointing feature is the Seiko logo as it is printed in the dial and is not an applied logo like on the original watch. It was disappointing that the SLA017 reissue had a printed logo vs the applied logo of the original so it is frustrating that Seiko has done this again. Honestly when you get an applied logo on a $150 Wired model I am not sure why Seiko would choose not to do this on a much more expensive piece. The applied logo does give the dial a higher quality look to the finishing and changes the look of the dial. On a more pleasant note the second hand on the SLA025 does not have the extended tip that the SBDX012, SBDX003 and MM300 have with the SLA025 being much closer to the original design. Another nice addition is the correct styled strap. Last years 62MAS reissue was provided on a reproduction of the Seiko ZLM01 waffle strap but the original watch was never sold on this style and instead came on a distinctive tropic strap. The original model (6159-7000) is most commonly seen on the “Chocolate Bar” strap as this was supplied on models from early 1969 till the end of the models production, but the initial model in 1968 were released on the ZLM01 waffle strap. 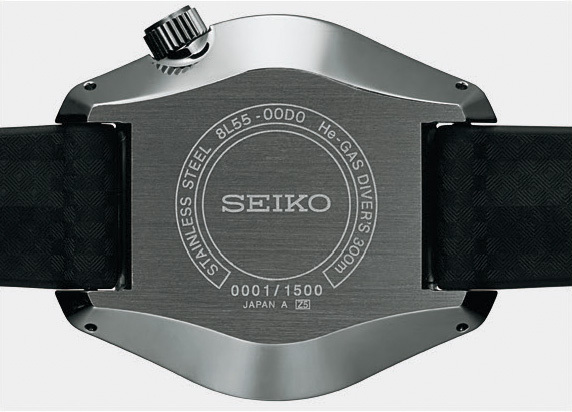 Surprisingly the original model image provided by Seiko shows the watch on a XGL731 tire track strap but the watch was never supplied on this strap. One interesting point is the part number listed for the strap is new. The 19mm waffle strap that came on the SLA017 had a part number of R02B011J9 (the bracelet was M117113H0). The SLA025 has a strap number of R02B021J9 so it is not the same as the SLA017 version. This appears to be due to a change in the strap material with a new high-strength silicone material being used. The SLA025 is provided with a number of nice additions and upgrades such as the movement, dial, crystal and second hand. While not the initial model of 6159-7000 released, I would also have liked to see the bezel design changed to the count-down design from the 6159-011 instead of the more traditional design found on the 6159-010 just to differentiate the model a little more from previous reissues. "In 1968, just three years after Seiko’s first diver’s watch was made, Seiko’s engineers raised the bar with a hi-beat diver’s watch with 300 meter water resistance that was one of the foundation stones on which Seiko’s future diver’s watch development was based. It had a 10-beat high precision automatic caliber, a one-piece structure, screw-down protection crown and unidirectional rotating bezel." The MM300 models (SBDX001, SBDX017) have been the modern interpretation of the 6159-7000 for a number of years. At Baselworld Seiko also introduced the SLA019. This model is a Limited Edition MM300 with a green dial and bezel, along with a golden second hand. The SLA019 has the following specifications. The green coloring is inspired by the ancient cedar trees on the island of Yakushima at the southern end of the Japanese archipelago. This is a popular Japanese destination for the diving community, thanks to its crystal clear waters, coral reefs and abundant marine life. The new dial color variant is interesting but I think that a number of people may be disappointed about the dropping of the MarineMaster text in favour of the Prospex logo and the crown also has the Prospex logo like the current SBDX017. This looks to be a common trend with the different “Master” series branding being removed and all models being unified under the Prospex branding. The watch is supplied on a solid bracelet with 3-way clasp and divers’ extension. In addition to these two Limited Edition Prospex models there was also a couple of regular release models shown. These are the SBP077 and SBP079 and are a more affordable modern reinterpretation of the 6159-7000. This is a similar design philosophy as the SBDC051/SPB053J and the SBDC053/SPB053J models released last year that were a modern spin on the 62MAS. It is highly likely that these models will end up being given the nick name by the community of MM200 or possibly X200 because of the Prospex logo. The new models specifications are as follows. The differences between the models is the bezel color with the SBP079 having a blue bezel with the SBP077 having black. The SBP079 is supplied on a rubber strap while the SBP077 comes on a bracelet with 3-way clasp with a divers’ extension. The lug width for the strap or bracelet is 20mm. The general case design is clearly inspired by the SLA025 but it is a little smaller, despite the wider lug spacing, and will not have the zaratsu finish that is provided on the limited edition model. Moving away from the 6159-7000 inspired pieces there is the other Anniversary reissue model in the S23626. This is a reissue of the PYF018 (7549-7000), a.k.a. the “Golden Tuna”, that was originally released 40 years ago in 1978. The Limited Edition reissue will be released in September and has the quantity produced matching the year of the original release (1978). It has the model number of S23626 for international sales and in Japan will be know as SBBN040. The PYF018 (7549-7000) was the first quartz Tuna model and was sold from 1978 to 1985. 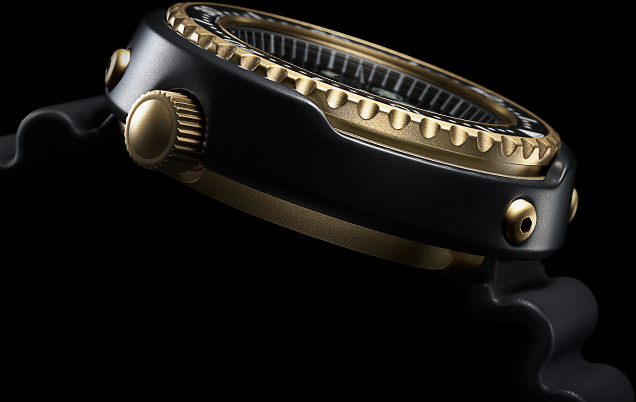 This was a 600m rated diver that became to be identified with its distinctive golden colored case that is the result of the Titanium Nitride coating. The new model dial is stylistically extremely close to the original with the outlined day/date windows and 12, 6 and 9 markers on the dial along with the simple Seiko, Quartz, Professional and depth rating text. It would have been nice to see the Suwa logo placed next to the date window like the original design but this was not done. As the Daini logo was used extensively in the design of this years 9S85 powered limited edition Grand Seikos hopefully we will see these logos used more moving forward to differentiate the different companies producing the products. The hands on the S23626 have the brushed steel finish of the original. The original PYF018 model was eventually replaced in 1986 by the SBBS018 (7C46-7000) that was produced for almost 20 years until 2005. This was a 1000m rated model that had a 7C46 movement and the same distinctive golden tuna case. As you can see the new anniversary model has specifications that are nearly identical to the long running SBBS018 with the same movement and depth rating. Stylistically the SBBS018 had a revised dial design with fine golden surrounds on the markers and a golden handset. There was also a limited re-release of this model for the Taiwanese market in 2011, with the S23611J1, that featured slightly different dial text. The zirconia ceramic shroud on the new model has the same smooth finish as originally released on the SBBS018 model. The shroud from the original 7549 model was made from ceramic coated titanium and had a rougher texture. This is an interesting release and adds the quartz golden tuna back into the line up. As you can see from the image the golden coloring is much closer to the original than the current SBDX014 which has a rose gold type coloring. To keep closer to the original it would have been nice to see the new model released as a 600m rated version instead of the 1000m, as for users there is no real practical differences for operation. I am sure that many Seiko fans would have seen video of the diver models working at multiple of their rated depths, well outside of human operational depths, so the change from 600m to 1000m for the anniversary release is a little disappointing. In addition to the historical re-issues and inspired models there is also another Limited Edition tuna of 800 pieces. This is the S23627 and looks to have a similar golden cermet shroud as the Gold Ocean SBDX016 and SBBN029 Platinum Ocean that were released back in 2015. The new S23627 quartz model has the minimal text of Seiko, Prospex logo, Professional, 1000m. With the quartz 7C46 movement the new model is reminiscent of the SBBN029 Platinum Ocean model that was released in 2015 as a LE with 700 pieces and also featured a cermet shroud. There was also a SBDX016 Gold Ocean model with an automatic movement and, as the nick name suggests, had a golden colored cermet shroud. Cermet is a composite of ceramic and metal that creates a material that is eight times harder then steel and provides a smooth glossy surface. It is disappointing that the use of cermet seem to still be restricted to limited edition models and has not found it into regular production models. For some reason this model is described as the 1978 Quartz Saturation Diver’s Commemorative Limited Edition model. I am not sure why this would be the case as this model has a completely different shroud, bezel, hands, and dial when compared to the original 7549 model. While not specifically a Baselworld release Seiko added a couple of models to the Prospex series just before the show. These were the new automatic SBEJ001 and SBEJ003 GMT models. These models have only been announced in the Japanese market at this time but I would be surprised if they do not later appear in other areas. Both watches feature an angular case and a top placed crown in a “unicorn” type of design. It has the newly released 6R64 movements that has an independently adjustable hour hand, date sub-dial, power reserve indicator and compass bezel. The SBEJ003 LE model with golden accents is celebrating the 25th Anniversary of the first Landmaster model but you would not know this as the watch does not state Landmaster anywhere on it, not even on the case back. This does emphasise how Seiko is removing the different Master series branding and unifying the models under the Prospex branding. The Baselworld Prospex releases are an interesting collection of new models with historical reissues and modern re-interpretations. I am sure that they will be popular as they are released over the next few months.